The idea had been running through my mind for some time. For this 5th edition it was the moment to give homage to this African women who has been fighting on all fronts. It was also the occasion to dispel the notion that the African woman is not active, less creative, without ambition. We have very good actresses, cineastes, producers, casting directors, editors, and who are in every sphere of the cinema industry. Women are as capable as men and all women throughout the world. From the very start of the festival the objective was to put women at the heart of the debate, rather than to organise a festival of women’s films; as the issues should be posed by men as well, in order to be able to juxtapose the two different perspectives. Moreover, we are not limited to traditional themes, such as the condition of women, liberation, excision. 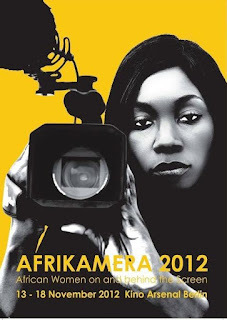 We are dealing with women at the core of artistic creation, political issues, world events and the future of Africa.